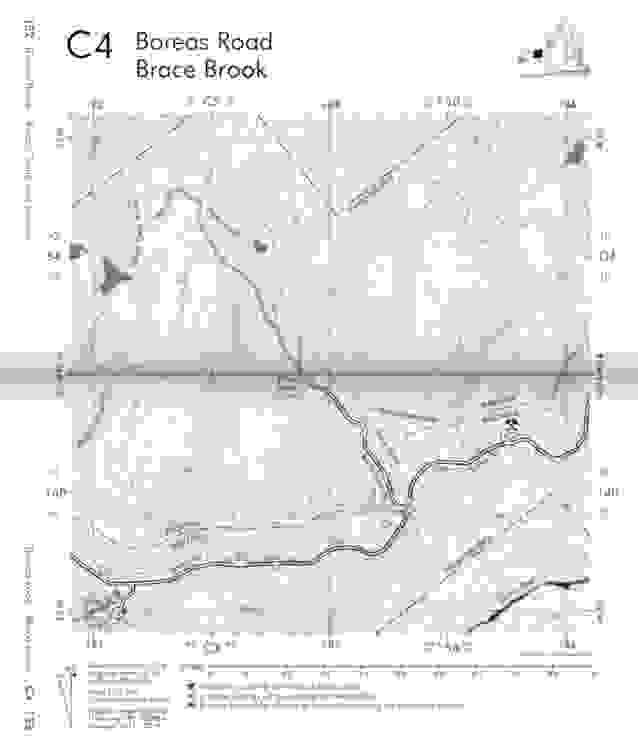 The book includes a full atlas of the Boreas Ponds Tract including the surrounding peaks. With a scale of 1:12,500 (5× that of the ADK maps) and detailed 5 meter contours it's easy to navigate, even when off-trail. 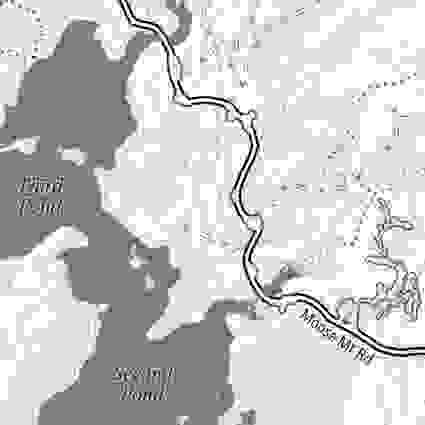 Atlas maps include a UTM grid for easy use with a GPS. 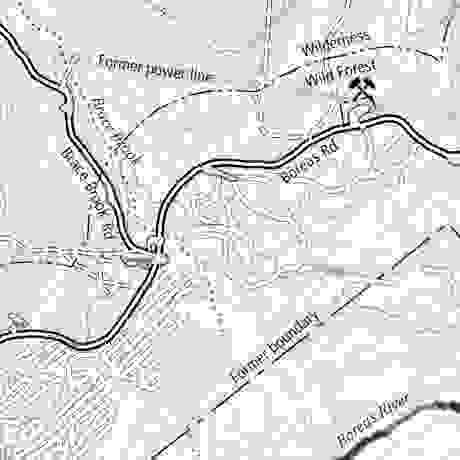 Each map's coverage is clearly labeled; locator maps on each page and labels on each edge make it easy to find adjoining maps.